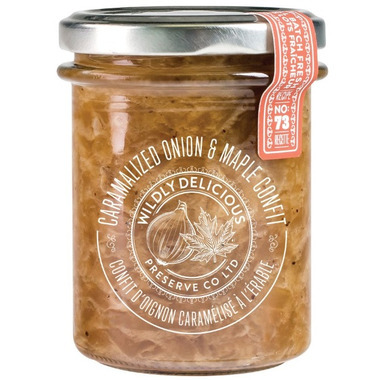 We use deep brown maple syrup from our favourite Quebec sugar bush gently folded into golden caramelized onions to produce this classical French Canadian condiment. Truly versatile, this condiment has unlimited applications enjoyed with beef, pork, chicken, paté and a charcuterie plate. Serve with salmon and fresh trout, in sandwiches and cheese plates. Ingredients: Onion, brown sugar, water, maple syrup, white wine vinegar, sunflower oil, sea salt, spice. Contains: Sulphites. 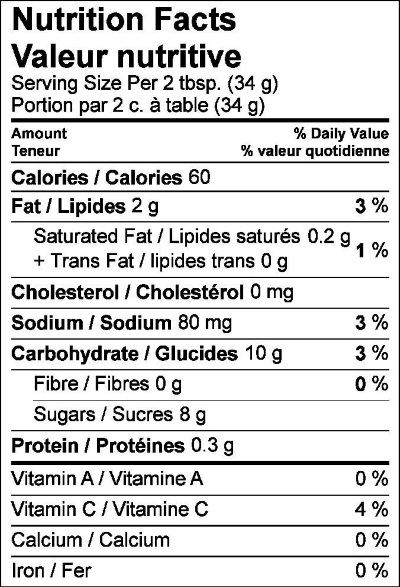 May contain sesame, wheat, soy, mustard, tree nuts, milk, eggs, fish. This really IS delicious! I love it with avocado toast. The texture is not really "jammy" like a spread, but more saucy individual onion pieces. Adds a nice "new" flavour to sandwiches.Great on paninis!